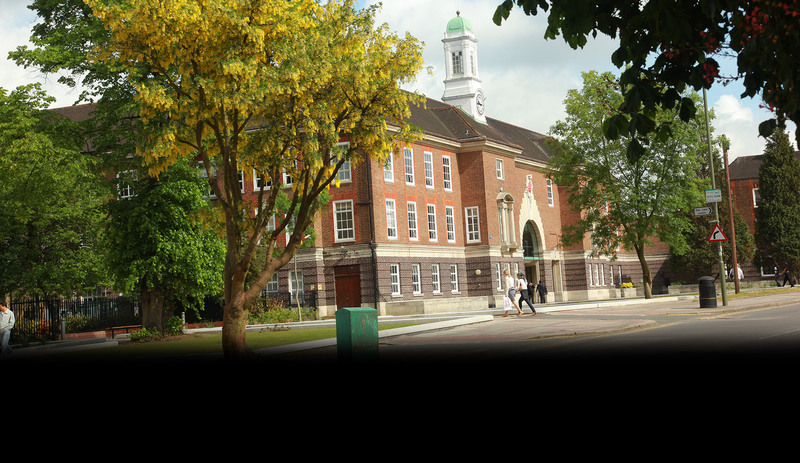 Why study the MSc Cyber Security and Pen Testing with Integrated Placement (15 months/24 months) at Middlesex University? What will you study on the MSc Cyber Security and Pen Testing with Integrated Placement (15 months/24 months)? This Masters degree gives you an in-depth understanding of network design and construction, programming and operating systems, and the legal, ethical and professional issues which surround this sector. You will also study online security risks, installing the relevant procedures to ensure data is transmitted and stored securely, and developing measures that can be taken not only to prevent breaches but to minimise damage if they do occur. You will be equipped with the knowledge and expertise to analyse and build security systems, software and hardware applications, secure transactions, authentication measures, and cryptography and encryption techniques. You will become familiar with the configurations of different systems in laboratories and learn to choose the appropriate measures and applications for a network. In addition to your proficiency in the subject, you will also have developed your mathematical, problem solving, communication, time management and critical skills. During this module you will develop a systematic understanding of the concepts, protocols and standards for computer networks and internetworking, used in current and future communication infrastructures. It is vital in today's networking market that network managers, administrators and engineers have a critical insight and practical experience of the essential tools used for monitoring, managing and evaluating computer networks. This module, which includes at least 12 hours spent working in labs, is designed to equip you with these problem solving and practical skills. This module focuses on the design and implementation of the modern operating systems and application environments used to build commercial, online applications. The module involves at least 12 hours of lab work and examines key operating concepts including processes and threads, memory management, scheduling, inter-process communication (IPC), device drivers, storage systems, multiprocessor systems, micro-kernels and networking interfaces. You will concentrate on Linux, Windows, Apple iOS and Android operating systems before focusing on a detailed study of key application environments including the Eclipse IDE, XCode, and Android SDK. Finally, we look at the concept of virtual machines and building applications for the cloud using the Google GAE SDK. This module covers the concepts and critical issues of security with emphasis on security architecture and mechanisms, standards, protocols, solutions and applications. It will provide you with an understanding of security technologies, algorithms and solutions as well as an understanding of the design criteria in security, basic system security analysis, and security solution synthesis. The aim of this module is to provide you with the knowledge and experience in methodological approach to computer forensics and evidence analysis. It will familiarise you with the methods intruders use to gain unauthorised access to an organisation's networked systems and then compromise them. The extensive module involves at least 72 hours spent working in labs, developing in-depth experience of pen- testing methodologies and various vulnerability assessment procedures. This is module covers the principles and foundations of network security. It aims at providing students with security issues, technologies, algorithms and protocols used in securing computer networks and associated systems. It will also provide an understanding of possible security breaches, security risk analysis and mechanisms to protect computer and network communication systems. It also studies an in-depth review of commonly-used security mechanisms and techniques, security threats and network-based attacks. This module provides you with a solid introduction to the subject of cyber security and information assurance. This includes a broad understanding of the security technologies available to support information assurance and security requirements and vulnerabilities corresponding to attack vectors. It will also explore regulation of Investigatory Powers Act, E-commerce Bill, key escrow. This module is an independent piece of work shaped largely by one’s own decisions and preferences to accomplish and deliver a task via prescribed stages. The module aims to facilitate students’ understanding of designing, planning and conducting applied research. The module encourages students to apply and test theory and to contribute to applications, through enhancing students’ ability to handle data for problem solving and evaluation; to test theory using analysis and simulations, integrating the learning from other modules. How is the MSc Cyber Security and Pen Testing with Integrated Placement (15 months/24 months) taught? This is an intensive course and much of your study will be independent. Full-time students should expect to spend a maximum of three days a week in classes and part-time students should expect one or two days a week. You will develop your practical skills in laboratory sessions, and deepen your theoretical knowledge by attending lectures, seminars, workshops and tutorials. As well as exams, tests and your research project, you’ll be assessed through practical assignments, including laboratory work, and coursework including essays, reports, presentations and class discussions. Some assessed work will be group work. You will receive regular feedback on your work, including your assessed coursework and your exams. For your independent project you will plan, conduct and produce an original piece of research relevant to the industry – either using existing or emerging technology to solve a practical problem, or extending the theoretical understanding of new technology. You will be assessed on your research proposal, written report and via oral examination. How can the MSc Cyber Security and Pen Testing with Integrated Placement (15 months/24 months) support your career? This masters degree will leave you ideally placed for a role as training specialist, systems dispenser, business analysis manager or university lecturer. 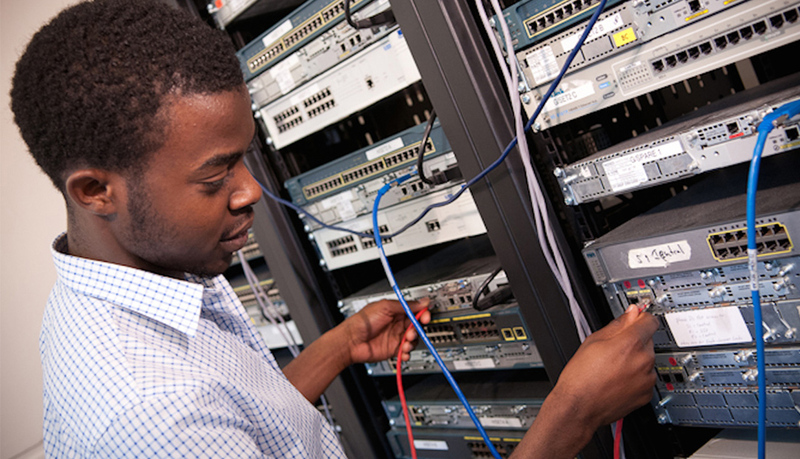 The majority of our graduates are in roles directly related to their studies and working in programming, telecommunications engineering, network management, and computer and network security. You could even start your own business or you may wish to pursue a career in academia. As a computer communications student in the School of Science and Technology, you will have access to a wide range of advanced equipment and software.